Well priced commercial lot w/city water, sewer & irrigation. 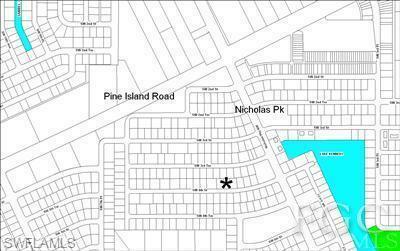 Zoned Pine Island Road District (commercial)just off Nicholas Pkwy & Pine Island Rd. You can see new Walmart, Kohl's & Applebees on Northeast corner a block away. Several new large commerical buildings going up on same block. Many new projects in permitting. Listing courtesy of Dale Lock of Dale G. Lock Realty.